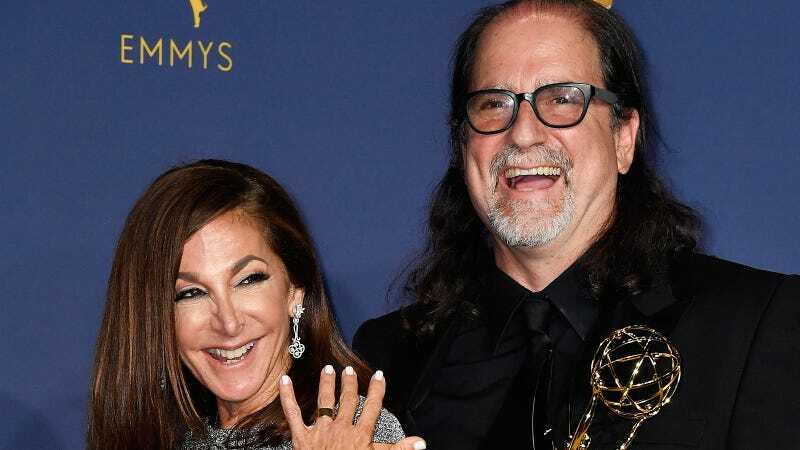 “A bit of earnest spontaneity in a world where everything is programmed,” is how my editor Clover Hope summed up the appeal of Glenn Weiss segueing from acceptance speech to marriage proposal during Monday’s Emmys ceremony. It’s true. It was a very nice thing that also harnessed the power of live TV to its fullest extent. Love is wonderful; the full mastery of a medium is astounding. Together: fireworks. PEOPLE has a report that reveals more details about Glenn Weiss and Jan Friedlander Svendsen’s relationship. They met in 2001 at the Tony Awards, for which she was the director of marketing and business development/chief marketing officer for 17 years. Given his experience directing the Oscars, for which he won last night’s Emmy, it would be weird if he didn’t propose from the stage of some awards show. The Grammys should do them a solid and let them marry during next year’s ceremony. Just an idea. He also revealed that he would have proposed at the ball or In-and-Out Burger if he hadn’t won. That’s it. Just some more nice stuff from two seemingly nice people who are now getting married.